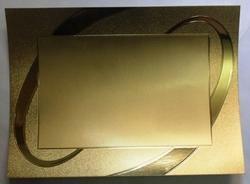 Providing you the best range of gold foil trophy stickers and silver foil trophy stickers with effective & timely delivery. 9x14 cm, 15.5x20.5 cm, 17x22 cm, 20x27 cm, 18x23.5 cm, 12.5x17.5 cm 23.7x28.7 cm. These mounts can be printed upon and distributed as certificates after framing to dealers, employees, etc. Also used at various events such as sports events, etc. Our trained experienced artisans, executing the exclusive ideas, create these art pieces. Under our product gamut, we also have assorted God Pictures, Picture Frames Advertising Calendars, in order to provide our valued customers perfect solutions for their distinguished needs inclusive of interiors, personal or commercial. 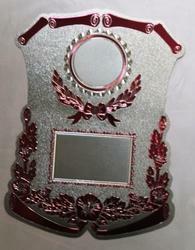 Looking for Gold & Silver Plated Trophy Mounts ?